Sometimes you have to get creative to add color when you’re a renter. 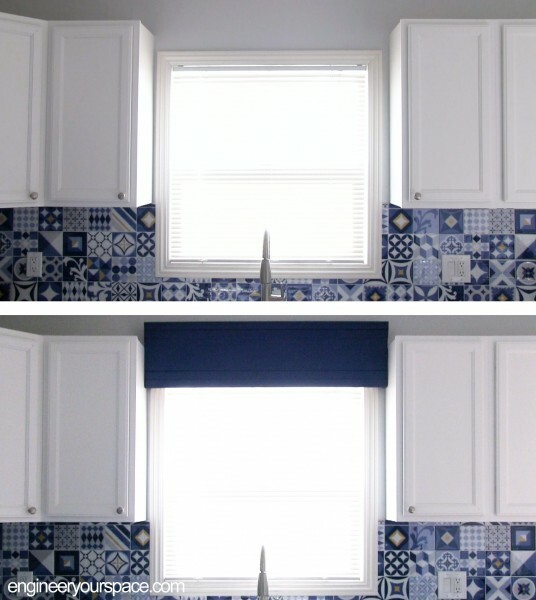 When I was working on a rental kitchen makeover for some friends, I wanted to add a colorful window treatment to coordinate with the temporary peel and stick tile backsplash. I didn’t want to go with curtains because they tend to get dirty very quickly with all the cooking happening, so instead, I opted for a different take on the traditional window valance. 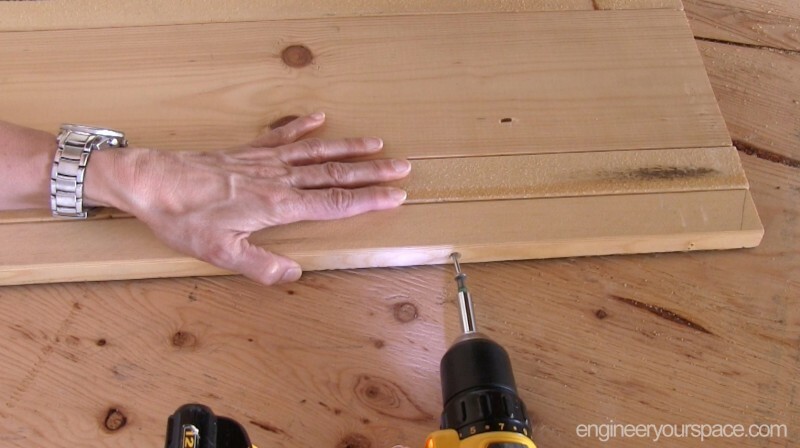 I made it with inexpensive furring strips (1″x 2″) and 1″ x 6″ pine boards. 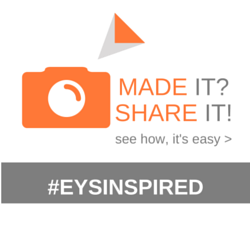 First, I screwed a 1″ x 2″ to both sides of the 1″ x 6″ board. 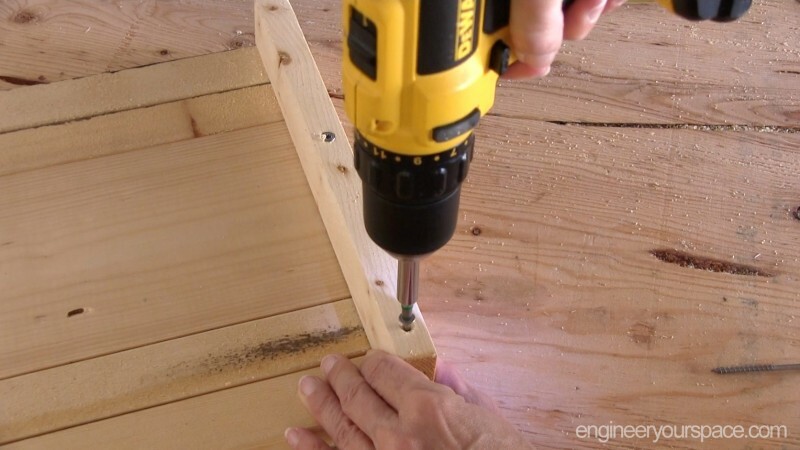 It’s a good idea to drill pilot hole prior to doing this – it helps prevent the wood from splitting and it also helps to ensure that the screws go in straight. Then I attached another 1″ x 2″ at the top and bottom, making sure to not hit the screws I just put in. This gave me the right height I was looking for, about 1 foot, but you can easily add more boards to make it higher. The next step was to add 1″ x2″ perpendicular to the ends. 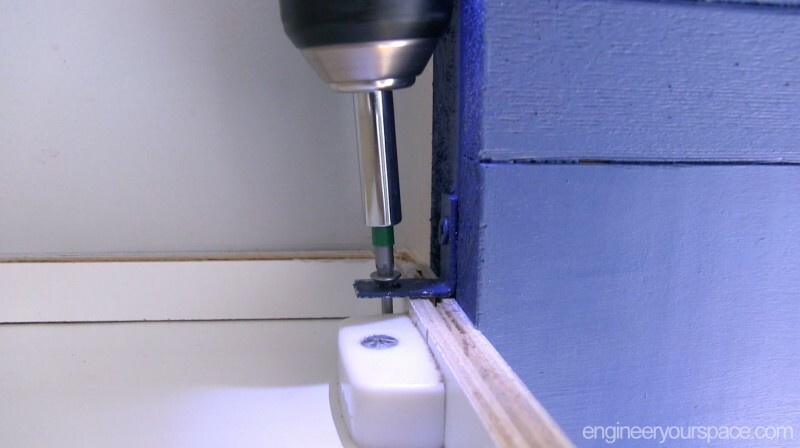 Here it also helps to drill pilot holes. Because this is a rental home, I wanted to avoid making holes in the walls to install the window valance, so I attached L-brackets on the sides. The brackets will rest on top of the kitchen cabinets and by installing them slightly lower than the middle point, the top valance will rest higher than the top of the cabinets to add more visual interest. To finish the valance, I chose to paint it in a color that matched the dark blue in the peel and stick tiles. 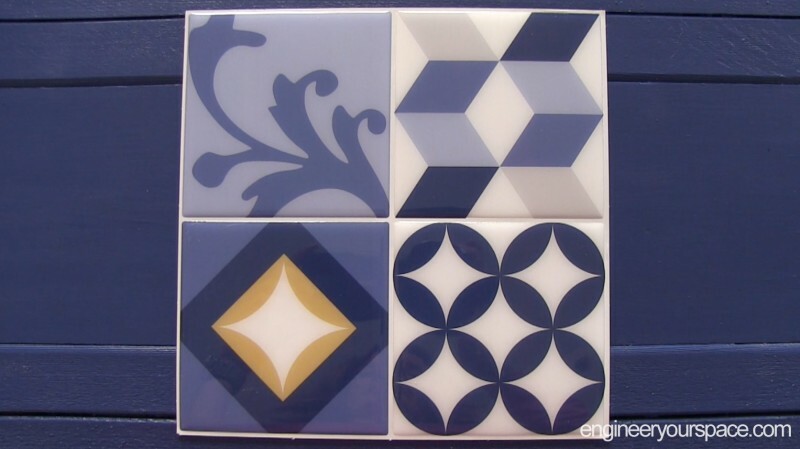 To get the right color, I took the tile to the hardware store to have them match the color – it’s not exactly the same but it’s very close and looks great with the tile. 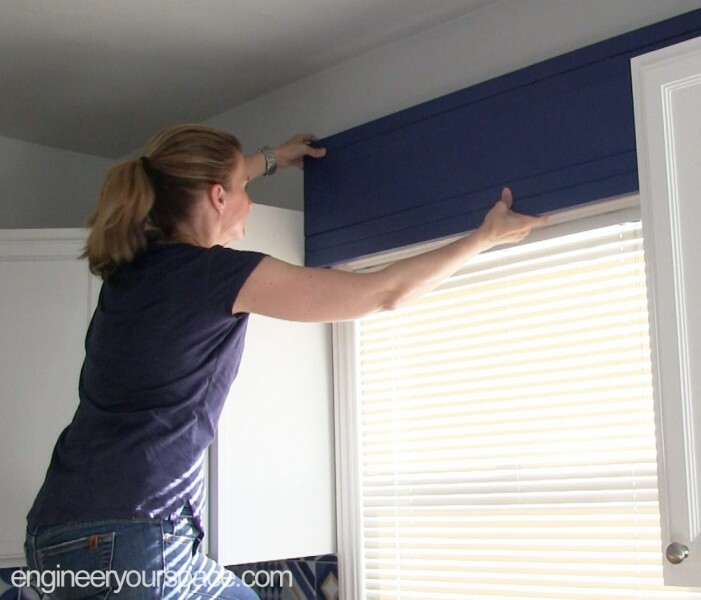 The last step was to install the valance – I slid it between the cabinets and for added security I used screws to secure it to the top of the kitchen cabinets, a location that is very discreet and won’t be seen. The window valance instantly dressed up the window and the rustic look coordinated nicely with the vintage peel and stick tiles. You can see the entire makeover in the video below – it’s all temporary and easily removable, perfect when you rent or if you are afraid of commiting to particular look! Glad to hear that! 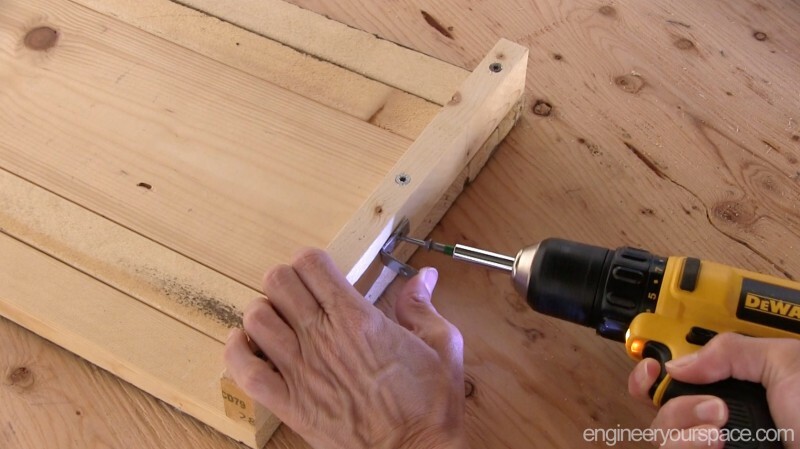 If you’re hanging heavy things and shelves, you need to use wall anchors and screws and if you’re hanging something very heavy like a TV, you need to secure it to wall studs. 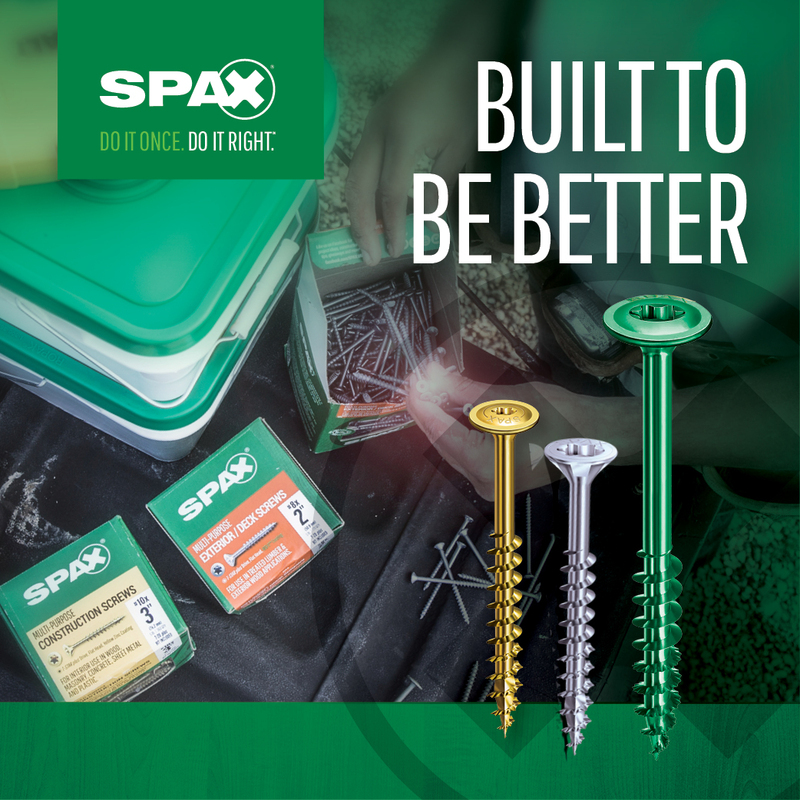 There’s too many types of anchors to go into here – my suggestion is to go the the hardware store, tell them what you are hanging and how heavy it is and they will give you options for what to use that will work with your walls.